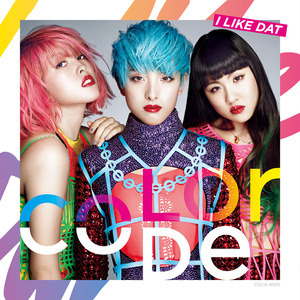 color-code was brought together in 2013 after the each member performed for « POP ICON PROJECT TOKYO », an audition held by Nicola Formichetti and the label Nippon Columbia. Among thousands of participants, three girls were selected to create the group. Formichetti himself attracted global attention with the unique styles and image direction that have helped Lady Gaga become a top star. With color-code, he aims to create in Japan a unique and colorful pop project that is drastically different than the typical JPOP artists currently popular in the Japanese entertainment industry. color-code wants to explode on the international market as « pop stars from Tokyo », empowered by Formichetti’s extraordinary fantasy. Just recently the girls have performed in major festivals in Japan such as Moshi Moshi Nippon and code+ feat NYLON Magazine. They will be playing several festivals and events in March 2016, a tour produced by the Belgian-Japanese office HIGHFeeL.